When you think of a destination wedding in Italy you’re probably envisioning a sun-drenched celebration in the summer, a dinner reception under the stars and dancing barefoot in an olive grove. However Italy has so much more to offer, and the weather is less and less a trustworthy factor. 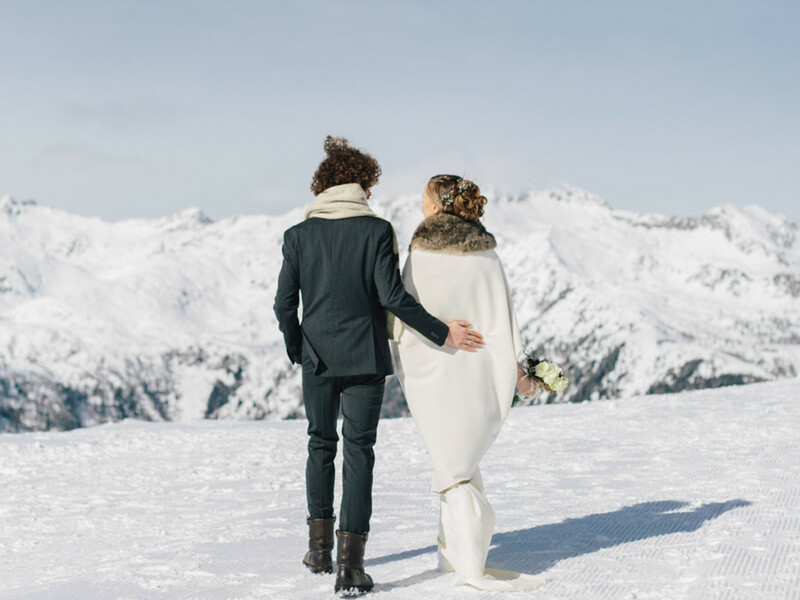 Instead of gambling for a day of full sun in the summer you could opt for a stress-free winter wedding in the Italian Alps! The Dolomites in particular offer an amazing selection of destinations, allowing you to celebrate your wedding in front of breathtaking views worthy of the World Heritage Landmark and to enjoy your honeymoon in the same location. My favorite destination in the Alps is Madonna di Campiglio, a village nestled in a secluded valley, where my father proposed to my mother and where I have spent most of my summers since the day I was born. Does this sound like your ideal destination? Ask my colleague and friend Elisabetta to help you plan your wedding in the Italian Alps.